The Relyence Fault Tree high-powered computational engine supports a large set of risk results. 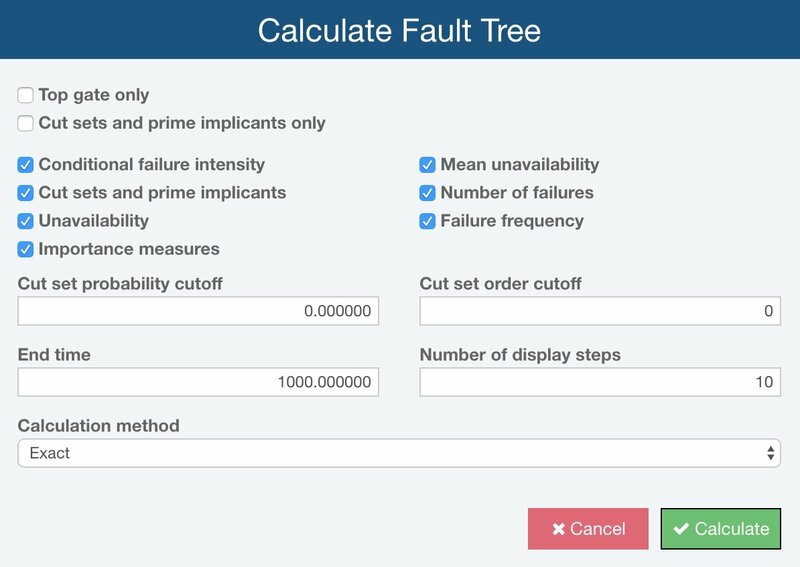 The Relyence Fault Tree calculation engine supports many metrics for risk assessment including unavailability, conditional failure intensity, number of failures, and failure frequency. 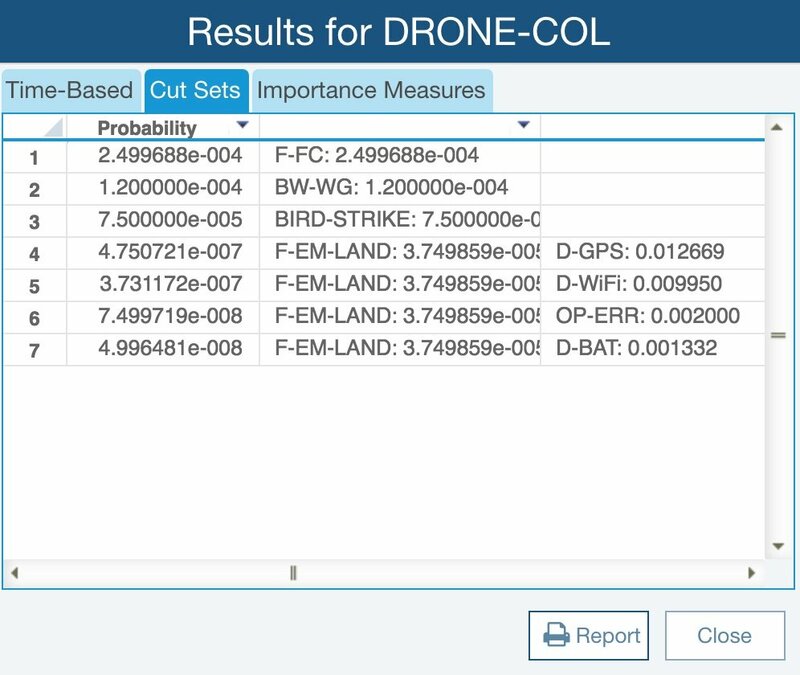 Also, you can choose to compute importance measures as well as minimal cut sets (MCS). The heart of Relyence Fault Tree is the high-powered calculation engine. For simulation analyses, you can specify the number of simulation iterations to control the simulation engine. For cut set analyses, you can set cutoff values to optimize calculations. Relyence Fault Tree calculates an array of availability metrics. Relyence Fault Tree can provide the list of minimum cut sets (MCS). Minimal Cut Set (MCS) analysis identifies all the individual event paths that will ultimately lead to the occurrence of the top level event in your fault tree. Relyence Fault Tree analyzes your fault tree, determines the minimal cut sets, and computes the probability of each identified MCS. This analysis provides valuable insight into your most at-risk events, allowing you to target improvement and mitigation efforts on those most critical areas. Relyence Fault Tree supports the calculation of importance measures. Importance measures are a useful method for prioritizing risks. The importance measures computed by Relyence Fault Tree include marginal, critical, diagnostic, risk reduction, and risk achievement. Relyence Fault Tree supports the calculation of several types of importance measures.